Kelly was a lovely, thorough, and intelligent tour guide. She took my daughter and I though the Ancient Town and Harmony gardens, all the while making sure that we were learning, happy, and taken care of. She personally catered the tour to help us find gifts to bring home, and well as personally followed up with my daughter to give sight recommendations. 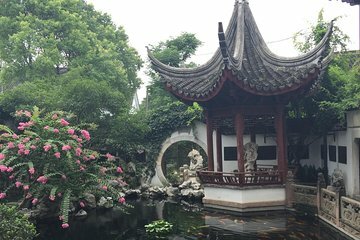 We had an incredible day with Kelly and cannot recommendation her enough to anyone visiting Shanghai! Kelly was a fantastic hostess and did an incredible job of showing us around the water town. She was patient and allowed us to set the pace and accommodated our requests.